Ah, yes. Our tour of California is drawing to a close. Here we have the view of the Avalon Harbor, hillside, and mountains. Taken with the Powershot G12. 1 California photo left. One. As in the name of the Highway that I am wholeheartedly convinced is the best drive in the country. So, its been a month-and-a-half! Oh my goodness! Where has the time gone?!? Here is a much delayed post! From the same hilltop that the previous photo was taken from, there is a white cross located just on the edge of the cliff, overlooking the Pacific. What a lovely and serene spot…there was even a little tree swing up there! 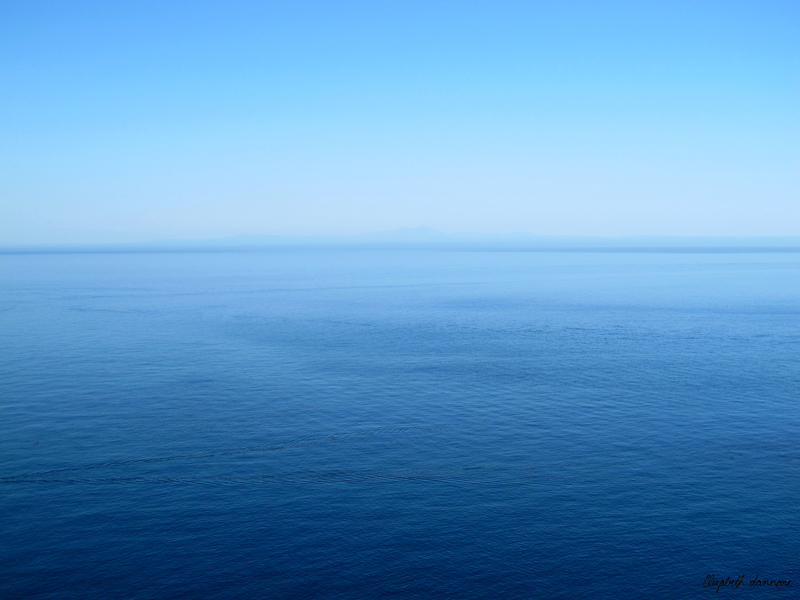 Stay tuned for another view from the top of Avalon on Catalina Island! Ahhhh…the California sun setting behind a palm tree. With a lens flare. Does it get more quintessential than this? Taken at the Descanso Beach Club on Catalina Island, CA (and yes, for you Bachelor/Bachelorette fans, the show did a date here a few seasons back). A little relaxation after zip lining between mountains and landing on the beach!!!!! Click here to see photos of the zip line! All I have to say is, good Lord, that was the single most exhilarating thing I’ve ever done in my life. 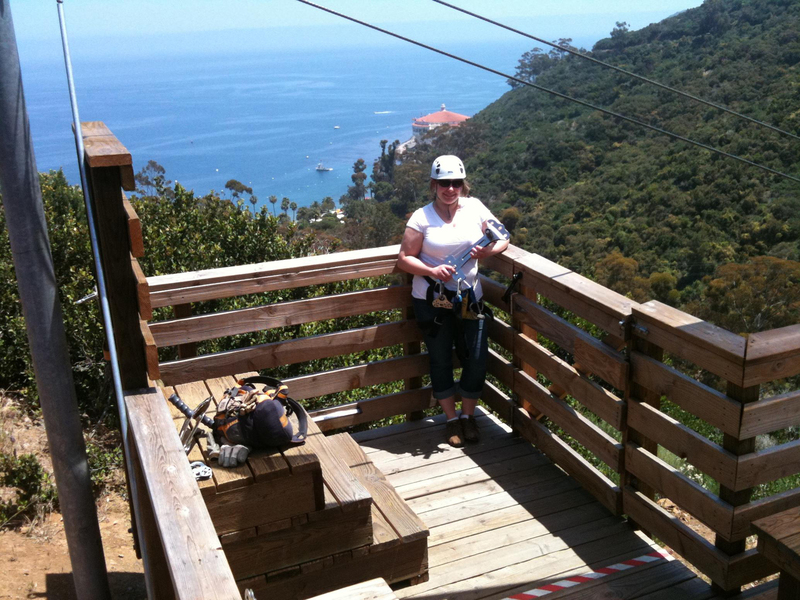 During the longest zip, that spans the two mountains, you are 300 feet above the valley below. Lets just say, taking the step off of the deck into nothing so that the “zip” could begin was the most difficult step I’ve ever taken in my life. You literally just walk off the deck into the thin air and…whooosh!…are whisked off over the valley at 45mph! This photo gives a good representation of that step. Note the expanse of ocean in the background. Needless to say, the tour gave the best view of the island itself, valley flora & fauna, and the ocean from high above. Great facts and tidbits about the island and its animals/plants from the tour guides. Did you know that while the school on the island does not have Snow Days, they do have Bison Days, for when the buffalo randomly venture out of the mountains/island interior and roam the town? And that they were left there after a 1924 movie and now have a full-on colony on the island? Note for ladies: do not zip line in tiny shorts. Trust me, you’re gonna want full-coverage walking shorts or capris with that harness at those speeds. Ahhhh…California. I cannot wait to go back. Click to see the town better (but please don’t steal the image)! Of course taken with the Canon G12! From atop the ferry! Crossing the Pacific! 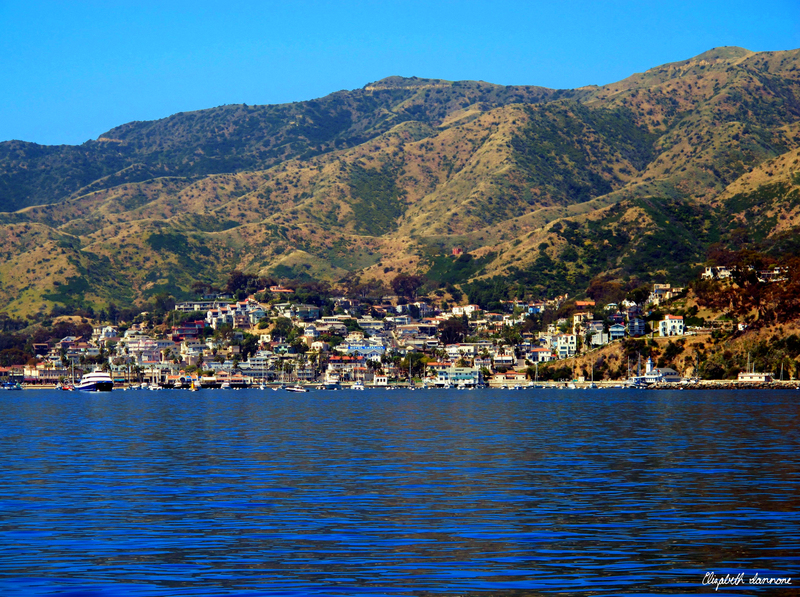 Stay tuned for more Catalina Island!